How to make the credit card as default payment method in PayPal question? Would it be possible to provide an example of this code implemented on the PayPal standard button script? I don't think this is possible using PayPal standard since the page is redirected to PayPal and not controlled by JotForm. However, let me run few test to check this. 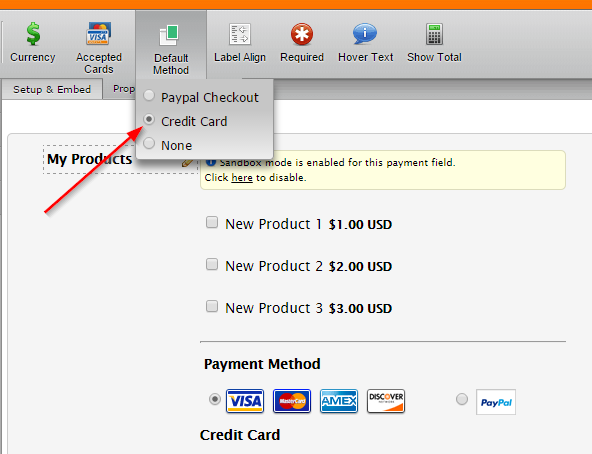 It is possible to select the default method as Credit card by using PayPal Pro.